His picture was hanging on the wall of his classroom in Jerusalem’s al-Rashidiya school, but his desk remained empty. Muhammad Sinokrot, who would have turned sixteen years old on 9 December, was not particularly fond of school and his grades were not great. But he was a hard-working boy and was keen on improving. A few months earlier, he had borrowed his cousin’s graduation gown to wear while posing in front of a camera. He had two years left to graduate from high school, and this portrait emboldened him to work even harder. 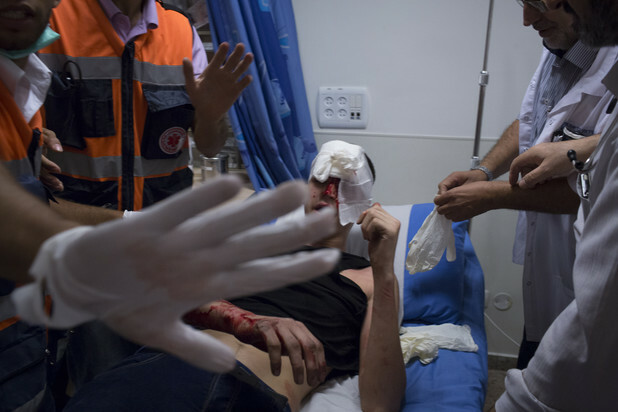 An Israeli rubber-coated steel bullet in the head, however, decimated his dreams and cut short his very young life. On 31 August, Sinokrot was shot in the head by Israeli police on his way to the Abdeen mosque in Wadi al-Joz, a neighborhood in occupied East Jerusalem. It was an unusually calm evening despite the presence of Israeli soldiers and border police who have made a habit out of raiding Wadi al-Joz during the last two months. At the time that Muhammad was shot, there were absolutely no clashes between Israeli forces and Palestinian youth, residents interviewed by The Electronic Intifada asserted. “It was around 8:15pm. I was making salad and asked [Muhammad] to buy us bread after he finishes evening prayers in the mosque and he left the house abruptly,” Ilham Sinokrot, Muhammad’s mother, told The Electronic Intifada. “A few minutes later, I heard yells and screams at our doorstep [saying] ‘Your son was shot in the head.’ I ran quickly — the scene of my son bleeding on the street, his head fractured and face disfigured, was shocking,” she recalled. Israeli police told reporters that Muhammad was throwing stones during clashes when he was shot in the leg with a sponge-tipped bullet and fell and hurt his head. His mother vigorously rejects this version of events and a preliminary autopsy report indicates that the boy died of injuries from being shot in the head. “Nonsense! You think if there were clashes I would have allowed him to go out? No way. And it’s ludicrous to say he was shot in the leg when there is no sign of injury or shooting in his legs,” Muhammad’s mother said. Muhammad Sinokrot was taken to the Palestinian Al-Makassed hospital, based in the Mount of Olives neighborhood, where doctors told his parents that he required critical surgery. He was later taken to the Hadassah Ein Karem hospital west of Jerusalem, where he spent a week in a coma before he was declared clinically dead. 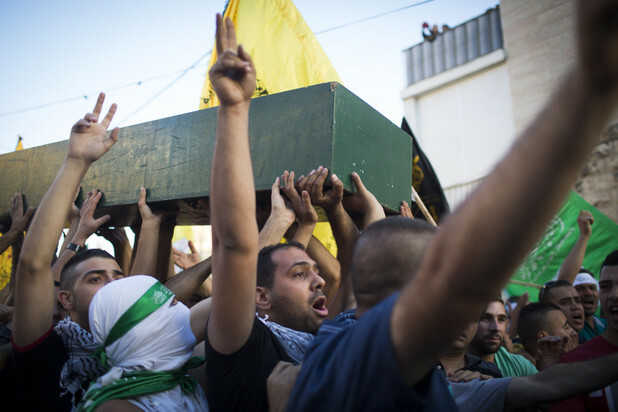 The announcement of Sinokrot’s death on 7 September was immediately preceded by fierce confrontations between Palestinian youth and Israeli occupation forces in Wadi al-Joz and throughout East Jerusalem. 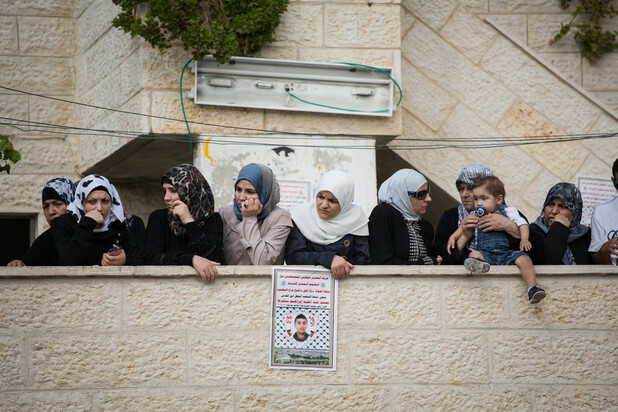 A normally quiet neighborhood and an industrial hub for Palestinians in Jerusalem known for its automotive garages and businesses, Wadi al-Joz has been anything but calm since the nationalist-motivated kidnapping and brutal murder of sixteen-year-oldMuhammad Abu Khudair on 2 July. Abu Khudair was a resident of Shuafat, a neighborhood close to Wadi al-Joz. Israel’s onslaught in Gaza only fueled the protests in Jerusalem this summer. Israeli occupation forces have responded with frequent, unprecedented raids on Wadi al-Joz, firing massive amounts of tear gas in densely populated areas and showering houses and businesses with the foul-smelling “skunk water” spray. “The situation here has been very tense since the martyrdom of Abu Khudair. We are regularly harassed and attacked by Israeli soldiers but we know we have no option but to stand up to them,” observed the bus driver during this writer’s departure from Wadi al-Joz. “Things may look deceptively calm on the surface, but in truth, the explosion was always inevitable. Israelis thought that they finally managed to placate Jerusalem and they did not expect that the city, particularly places like Shuafat and Wadi al-Joz, would rise up like this,” he said. Muhammad Sinokrot’s funeral took place a day after his death had been announced, with thousands of Palestinians marching from his home in Wadi al-Joz towards the al-Aqsa mosque in the Old City of Jerusalem. Large numbers of Israeli border police and soldiers were deployed, but all attempts to contain the anger of the youth were to no avail as the funeral turned into a mass protest. “The youth surprised Israeli occupation forces who wanted to squelch any possibility of protests or confrontations during the funeral procession. 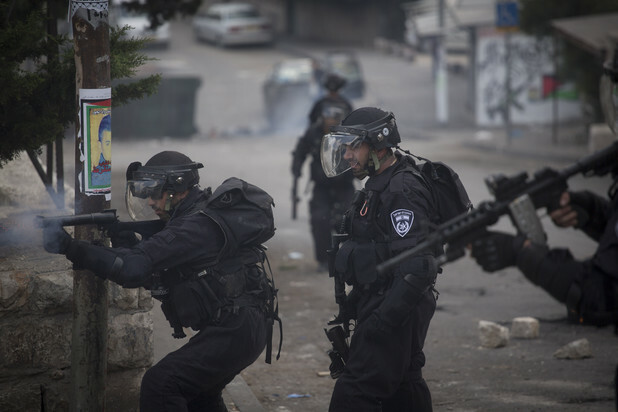 The youth threw rocks and fireworks at the soldiers who responded with tear gas, rubber bullets and sound grenades,” noted Yassin Sbeih, a Palestinian activist from Shuafat refugee camp. As was the case during the clashes in Shuafat in early July, youth from different Jerusalem-area villages came to Wadi al-Joz for the funeral to show their solidarity. Also among those who came to pay respects was the mother of Muhammad Jaabis from Jabal al-Mukabber, a young man shot dead in West Jerusalem on 4 August when the mechanical digger he was driving collided with a bus after running over and killing an Israeli pedestrian. The Israeli authorities have treated the incident as an attack but his family say that it was an accident; there have been multiple instances in recent years in which Palestinians operating such equipment were killed in similar circumstances in the city. Meanwhile, Muhammad’s father insists that he will seek accountability. “We don’t believe that the executioners will give us any justice, yet we will go to Israeli and international courts and we call on all parents to demand justice for their slain loved ones. We cannot allow the killers of our children to live in impunity,” he said. 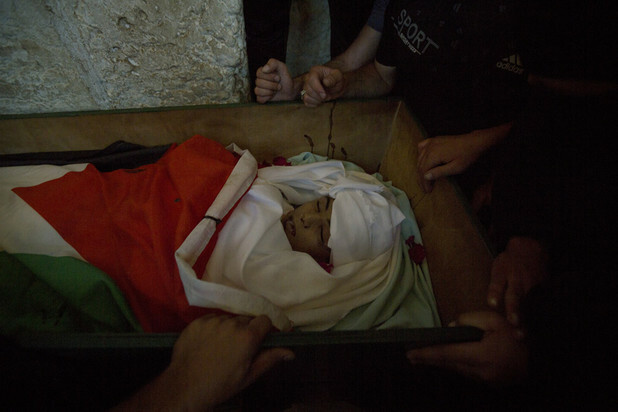 Those who spoke to The Electronic Intifada emphasized that Muhammad Sinokrot was killed simply for being Palestinian. “His crime was being a Palestinian and living in Jerusalem under a system that does not see us as worthy human beings,” said one of the family’s neighbors.